Last year, Honda proved that classically-styled concepts are just better. 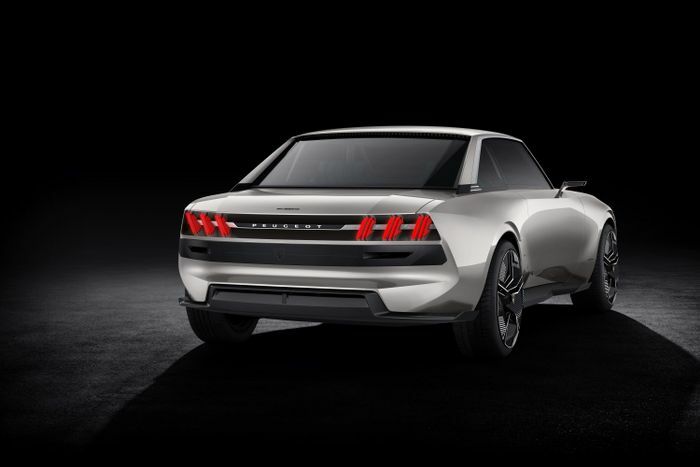 It did so with the brilliant Urban EV and Sports EV concepts, the former being something the Japanese manufacturer will actually put into production. 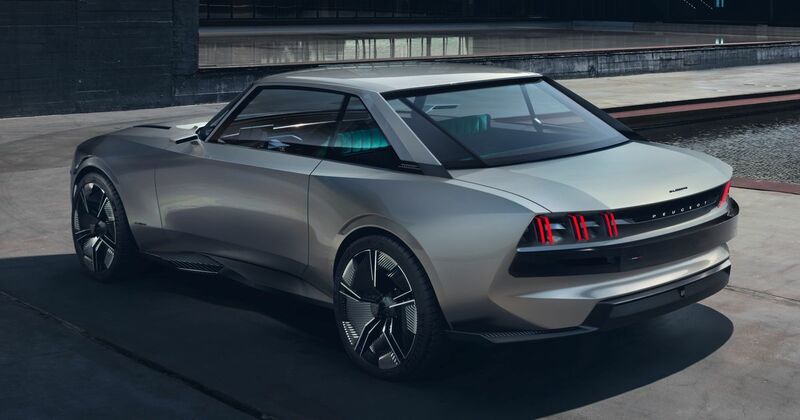 But Peugeot might just have gotten one up on Honda in the retro-futurism stakes with this, the e-Legend. 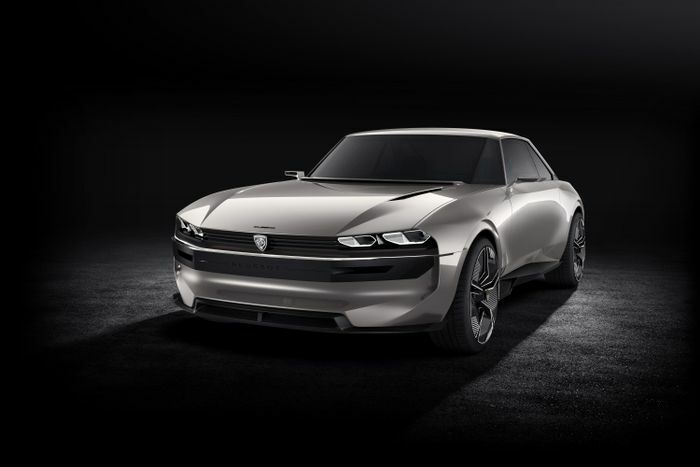 It ticks all the usual 2018 concept boxes: it’s capable of full autonomy, it’s an EV, it has a giant screen in the cabin (a 49-inch one, no less) and is accompanied by a press release that mentions the word ‘DNA’ multiple times. The big difference is all of this is wrapped up in a gorgeous, 504 Coupe-inspired body. Isn’t it stunning? It’s quick, too. A 100kW battery powers two motors - one for each axle - with a total output of 456bhp and 590lb ft of torque. 0-62mph is sorted in under four seconds, although the top speed is a more modest 136mph. It has a range of up to 372 miles, with a 310-mile range possible with a 25 minute-long fast recharge. Pleasingly, Peugeot’s vision of autonomy still involves a human behind the wheel. As such, there are two manual modes as well as two autonomous modes. The latter two are called ‘Soft’ and ‘Sharp’. Soft is all about comfort, with information displayed on the car’s various displays reduced to a minimum, while Sharp bombards you with “maximum connectivity for digital activities,” for “engaging on social networks, arranging electronic calendars etc”. We’ll stick with Soft, thanks. Switch to a driving mode, and a steering wheel will emerge from under the screen. 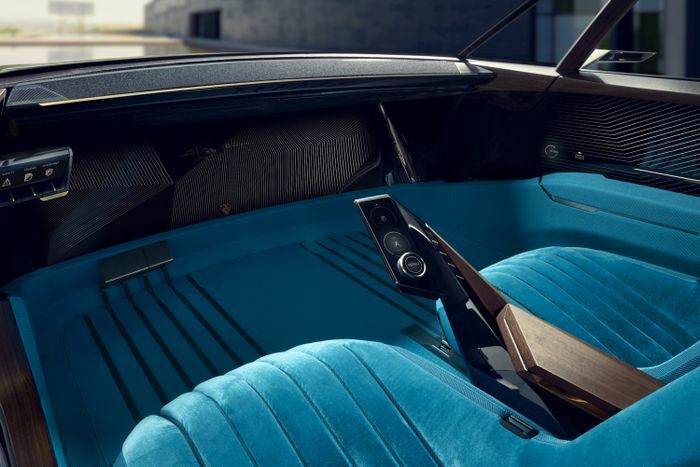 ‘Legend’ is a “cruising mode” which brings up a digital replication of the 504 Coupe’s instrument binnacle, while also using the screen to display an image of wood. ‘Boost’ is the sportier mode, which offers “180-degree immersion for the driver” by projecting a camera feed of the road onto the display. 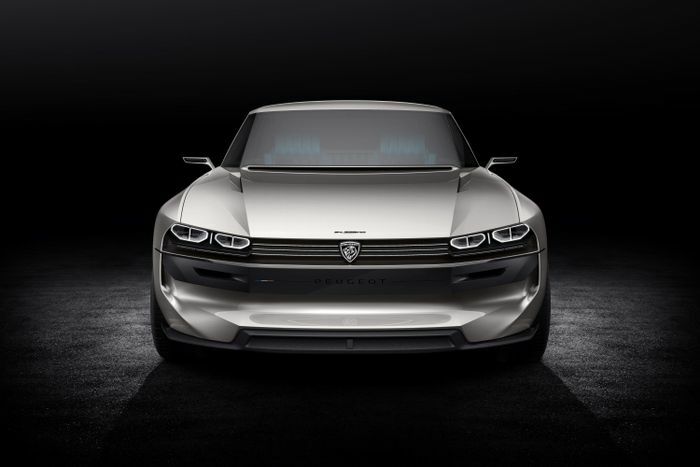 The point of all this is to “offer a glimpse into the future whilst retaining Peugeot style”. 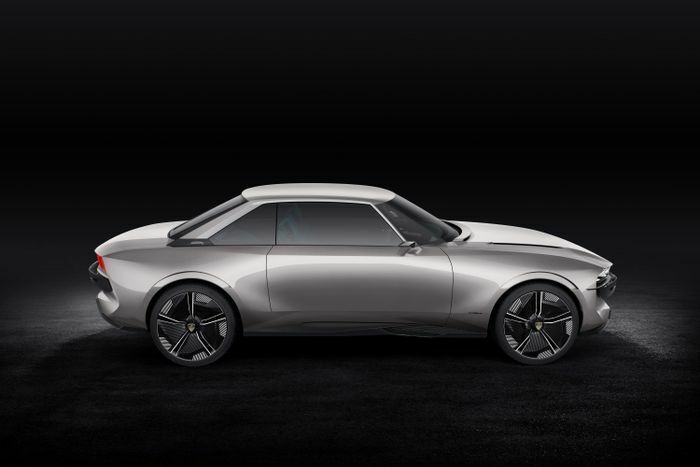 Quite clearly the e-Legend isn’t going to directly spawn a production model, but we’re crossing our fingers for something that looks a little like this eventually appearing. After all, cars like the 508 SW prove that the French manufacturer’s products are becoming increasingly interesting to look at.